At Victorian Place of Washington Senior Living, we appreciate how important your pets are to you and the very special relationships that exist between people and their four-legged pals. We’ve found that the positive therapeutic value pets provide not only affects their “Pet Parent,” but the other residents as well. The friendly faces of dogs and cats can bring people together, something we fully support in our community. At Victorian Place of Washington Senior Living, we welcome small pets. If you plan to bring your cat or dog with you, take note: Residents must be able to care for the pet themselves or have made arrangements for regular outside help with their furry friends. 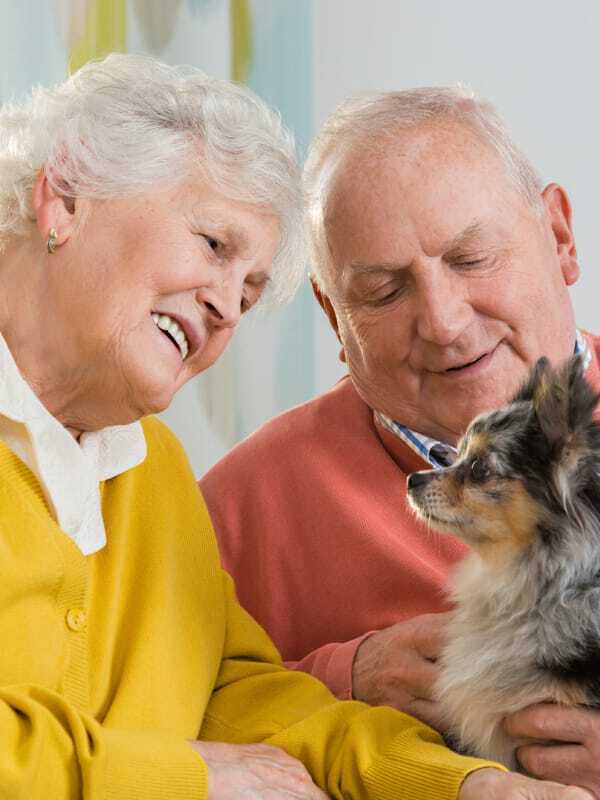 For more information on our pet policy, please speak with one of our friendly eldercare advisors.